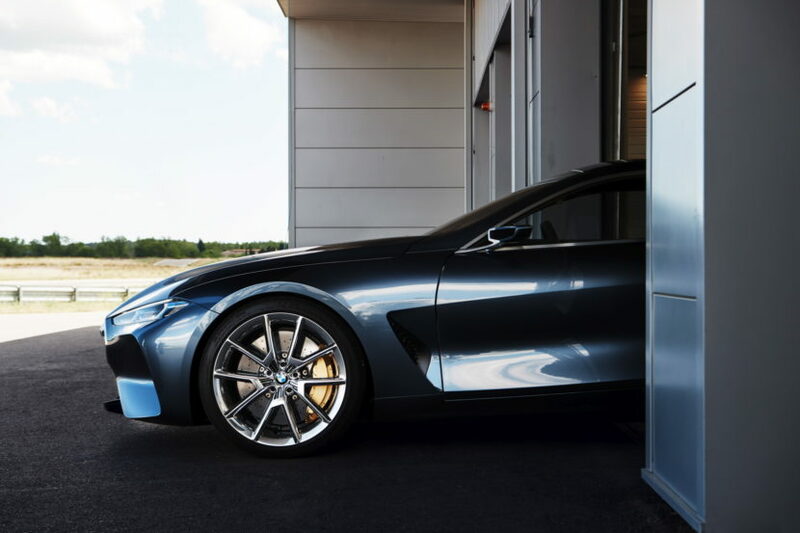 The talk of the week in the automotive world is without a doubt the new BMW Concept 8 Series. Our coverage of the new 8er started yesterday and will continue in the following days with more videos, photos and up-close impressions. The video below takes us around and inside the new concept, giving us an extremely close look at its design and new features. As seen below, the concept car’s front end is sporty, low-slung and visually striking. 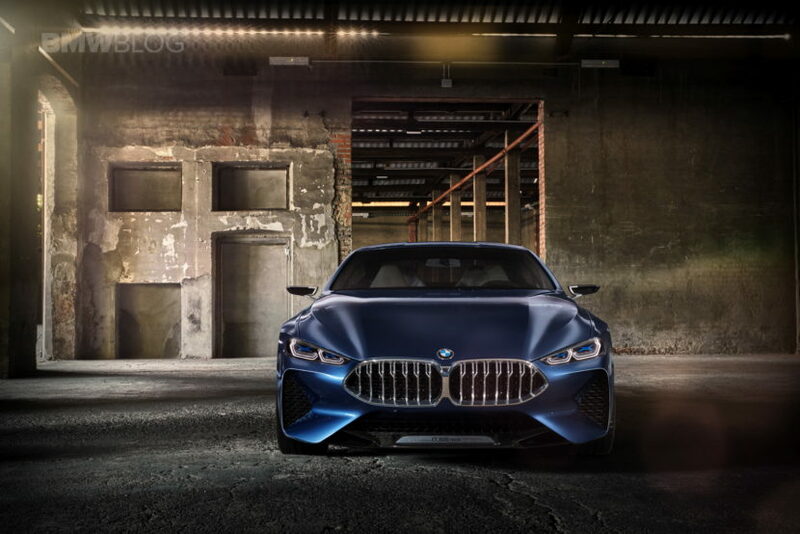 BMW combined classic design elements, and even some from the i8 hybrid sportscar, with a new twist which takes the new 8 Series into a new segment with Mercedes-Benz S-Class Coupe and Aston Martin DB11 being two of the contenders. A large kidney grille, slim, double hexagonal laser headlights and large air intakes form a striking, sporty front-end graphic, draw inspiration from the company’s coupes of years past, while the kidneys are brought together by an unbroken frame to form a single, wide element, emphasizing the dynamic character. BMW has even created an exclusive exterior paint finish, “Barcelona Grey Liquid”, with highly iridescent pigments to show off the surfacing of the Concept 8 Series. 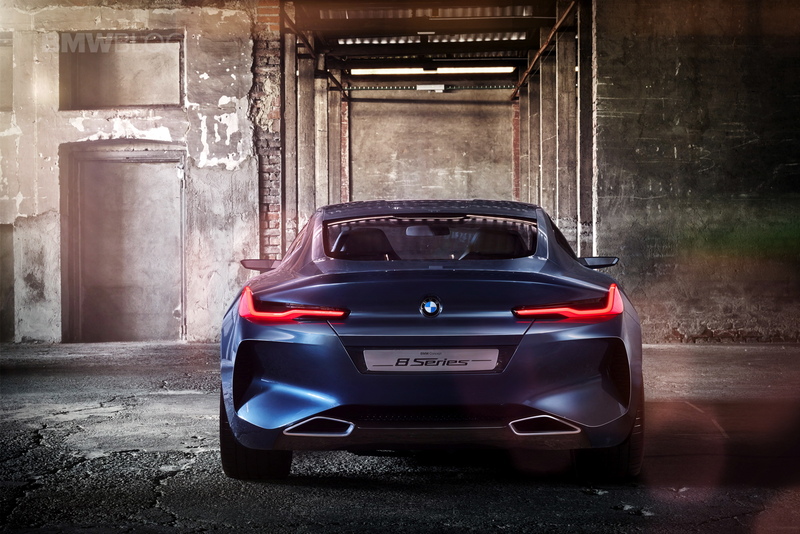 From the back, the Concept 8 Series looks particularly unique from other BMWs. One can easily sport the wide, horizontal taillights with L-shaped OLED elements, along with rear spoiler molded into the trunklid and trapezoidal exhaust tailpipes. A dark carbon-fiber diffuser can be found in the lower section of the rear apron. Inside BMW has gone heavily for carbon-fibre accents, both aesthetic and structural – like the carbon-fibre shells for the leather-covered seats. Other luxury touches include a faceted ground gearshift lever and iDrive Controller made from Swarovski glass.